True story: I received an email from a marketer who told me she had read our blog and enjoyed it, but she was wondering if I would replace a few of the articles I linked to in the blog to a whitepaper she had written. Her whitepaper, of course, was a better source to link to than the HubSpot resources on inbound marketing. In return, she'd link to our blogs. I immediately sent the message to my spam folder and promptly forgot about it until we started discussing some of the worst marketing examples we’ve run across in our day-to-day. Her request was an obvious ploy. These kind of marketing tactics work only in very particular situations — generally, you already need to have a well established reputation in your industry — and when they backfire, they can ruin a marketer's reputation not only with other marketers but with future clients, too. If you want to get anywhere as a marketer, you need a top-notch marketing strategy with top-notch marketing tactics, not slick tricks. If you want to engage and connect with your audience, stop using these 5 marketing tactics right now. 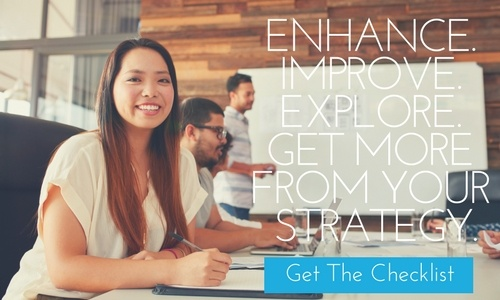 Download our Marketing Effectiveness Checklist to help enhance your overall marketing efforts. On the surface, keyword stuffing seems like a relatively innocent, possibly useful strategy: cramming as many keywords into your web page copy as many times as possible so your page is seen as the most relevant page on those words. But there are problems with this strategy. A web page cram-jammed full of keywords makes for an awkward reading experience for web visitors. This makes it less likely that visitors will stick around after landing on one of your pages. You’re likely to find yourself penalized by search engines. Google works hard to make sure users get superior products (web pages). To do that, Google pushes websites that offer the best experiences to the top of the search results list. Instead of stuffing, focus your efforts on producing the highest-quality content that your resources allow and focus on the reason behind your chosen keywords rather than the exact words themselves. For example, Google is smart enough now to connect people who type "painter Cincinnati" with content that is about "house painting in Cincinnati." Focus your content on the needs of people searching for a house painter and only worry about getting local SEO identifiers in there once or twice. Don’t try to game the system. Leave the heavy lifting to the search algorithms. Let's cut right to the chase here: buying an audience is an easy way to lose an audience. It might seem like it's no big deal to fork over some cash to gain access to the contact information of people who may be interested in your products and services. However, think hard about what those people will think of you when they discover the reason you're spamming them is that you bought their email address. Not a great way to get a relationship off the ground. We're firm believers in inbound marketing. It makes us cringe when people pay for email lists, links or social media followers. Those are earned, my friends, and the only way to earn them is by building trust over time. Work hard on giving people what they want, and they will show up for more. Believe it or not, hashtagging has an actual purpose beyond serving as clever little footnotes on your social media updates. The real job of the hashtag is to organize social media posts by subject, keep conversations strung together, and make posts easy to search. Hashtags are also signals that Facebook, Instagram, Google+ and Twitter use to gauge which topics are trending. The occasional quip delivered via hashtag can still be a #winning strategy, but only when it's used sparingly and put into the right context. Otherwise, take the time to do a little hashtag research and find out which ones are being used in your industry or vertical and join in the conversation. Finishing a Facebook post with #painter #cincinnati might seem like a good idea for a local commercial and residential painter—until you realize that most of the existing posts with those hashtags are about fine art (#homeimprovement might be a better choice). Lastly, when you decide to use hashtags, keep it limited to one or two. Anything more than that and your readers might get "hashtag fatigue" and fail to process what you're communicating. The only exception is Instagram where engagement stays high even with a dozen hashtags on a single post. Maybe in the old days, when "being everywhere" meant having a radio spot, television ad, and a nice direct mail campaign, this idea was smart. Today, "everywhere" just isn’t doable. From blogging to the endless selection of social media channels to videos, live streams and LinkedIn — trying to be everywhere will come with a hefty price tag and minimal ROI. You’ll end up with, at best, a very insufficient presence in too many places. A better idea is to figure out which channels are best suited for your business and funnel your resources in that direction. For example, our house painters are practically the reason Pinterest exists outside of meal ideas. A blog is a great idea, too, as homeowners usually have lots of questions about the practicalities of painting their home or even just a single room in their home, and addressing these via blog is the perfect way to prove yourself a valuable resource and naturally improve your keyword ranking. Which advertising and marketing channels are a natural match for your industry? Where are your current and potential customers most likely to be hanging out? Finding the sweet spot where all these intersect is a much better strategy than trying to be everywhere. Gating your most important content is a good idea. Gating ALL your content is annoying and will cut into your online conversions. The purpose of publishing content is to provide people with lots of different ways to discover, learn about and interact with your company. Informative blogs and how-to videos, social media conversations, photos — all of these are great ways to bring current and potential customers into your loop without asking them to give anything in return. When you ask people to commit too soon, it will make them suspicious and uncomfortable and they'll look elsewhere for what they want. Consider a homeowner who wants to find out how much it typically costs to paint a room and what type of disruption to expect when painters arrive. However, before she gets the answers, she must provide her full name, home address and email address. The likelihood that she will click "back" and find another website with the answers is about 100%. Why? Because she’s been asked for too much, too soon. Instead, allow most of your content to be freely enjoyed by everyone who comes by and give them a chance to get to know you. Let people find the answers to all the basic questions and find out a few ways that you are unique. By offering so much without asking for anything in return, you'll start to build trust and interest. Only when that's established will people be willing to part with their valuable contact information. 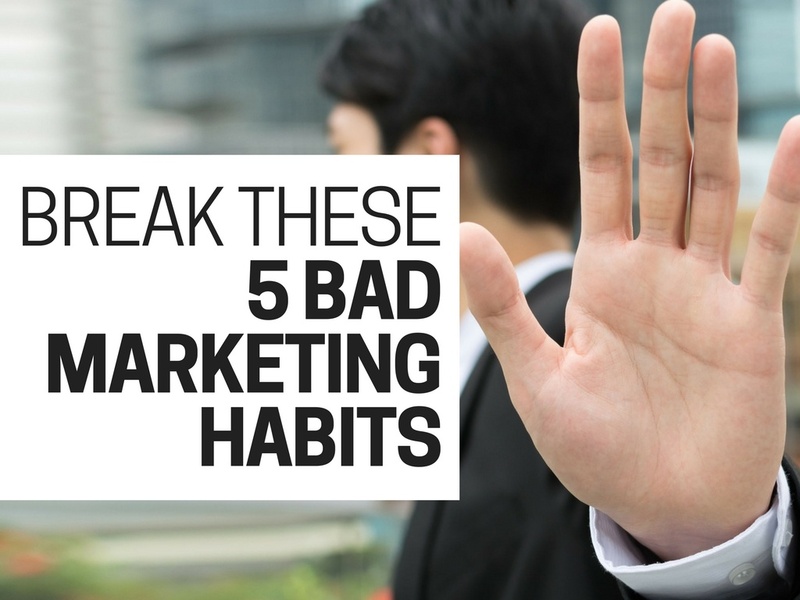 Each of these marketing tactics is focused on a different aspect of your marketing strategy, but the reason they must be stopped is the same: the consumer. None of these tactics has the customer's needs at the forefront; it's almost like the people you are trying to reach are an afterthought. In today's marketing climate, everything you do must begin with your audience. What do they want? What do they hate? What will keep them engaged and looking for more? When you begin with your needs, the results are often flat. When you start with your people — and check in with them often along the way — your efforts will be rewarded.